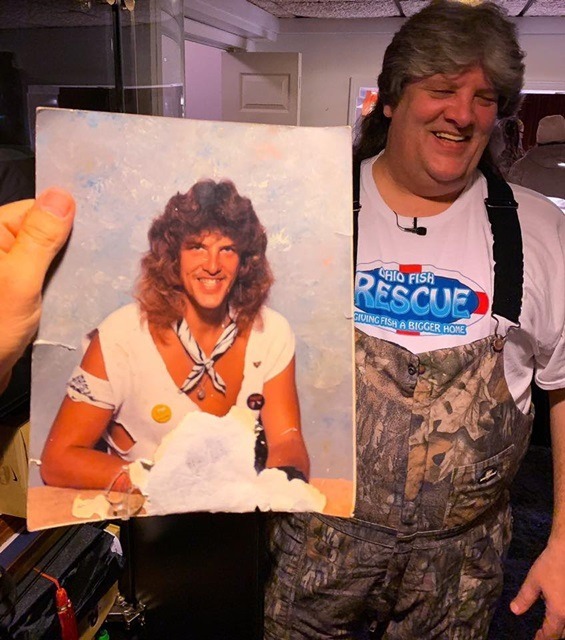 I thought about entitling this soliloquy about Big Rich … “Big Hair, Big Heart” But alas his lifelong locks are only the tip of the iceberg for my new friend, Big Rich! Just like an onion, with every strand of hair you peel back, another colorful story comes to light! I only met Big Rich in December. Thankfully he didn’t judge me by my crew cut and we hit it off talking fish! Any dude that goes through the work, and trust me it is work, to start a 501c3 non for profit around his love for his finned friends is alright in my book! I love meeting “interesting” people through my hobby and profession! Here’s the story that 4.4 million people have now viewed of Ohio Fish Rescue! Trust me when I say it though … it’s only a SMALL sampling of my new friend BIG Rich!